Opened in Rome in 2007, the Gallery was born “on the boundaries between New York and Wonderland”. For the first time the Italian Contemporary Art scenery put a spotlight on international artists such as Joe Sorren, Ron English, Sas & Colin Christian, Camille Rose Garcia, Alex Gross, Tara McPherson, James Jean, Miss Van, Kazuki Takamatsu and many others. 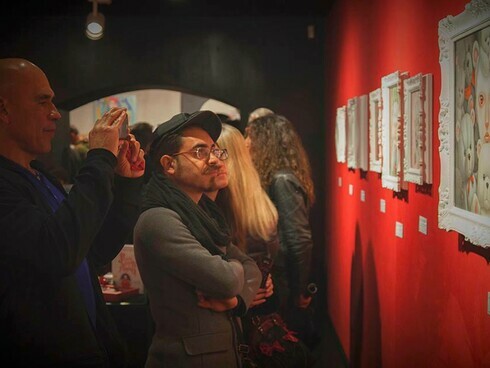 In 2011 the Gallery opened its new venue in the historical center of the city, in Via dei Pettinari, ringing up the curtain once again to unveil its prestigious program dedicated to Pop Surrealism in all its features. It is also thanks to its wonderful location in the heart of Rome that D.C.G. confirms itself as the ideal venue to host the restless mood emerging form its seductive artistic tendencies. While keeping the charming style of its “First Circus,” the Gallery also discloses a touch of luxury while decorating its bookshop with the artists monographs in white velvet. It offers an exclusive display of limited edition prints and rare art toys, creating an exhibition hall which reminds the viewer of the settings in Tim Burton’s Alice. One of the Gallery’s core concepts is to propose high quality events based on specific themes involving literature, music and costume. Dorothy Circus Gallery, selected by Juxtapoz magazine as one of the top 100 world’s galleries, is now a leading Euro- pean centre for Pop Surrealism. The gallery also publishes many catalogues of its shows. Some of them edited by Drago Publishing and distributed all over the world. 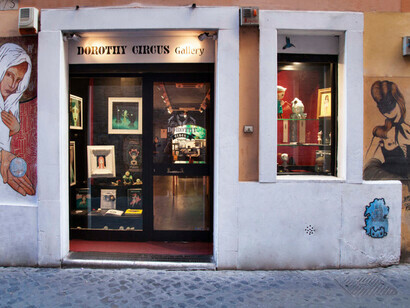 Dorothy Circus Gallery and its director Alexandra Mazzanti took care of the major Pop Surrealist exhibitions: “What a Wonderful world”, held in 2010 at the Museum of Palazzo Collicola in Spoleto, and numerous other exhibitions at various Italian museums such as L’Acquario Romano – Casa dell’ Architettura, and Palazzo Valentini in Rome, the “Social Related Art Project” titled “Spray for your Rights”, which involved artists, audience and the town council of Roma Capitale on important social and cultura, issues, such as Cohabitation, Minority Rights and the Protection of the Environment. Finally the solo exhibition “the Trouble with Angels”, at Palazzo Saluzzo Paesana in Turin, dedicated in 2014 to the leading digital art Canadian artist Ray Caesar, and “Mysterium Coniunctionis”, in 2016. 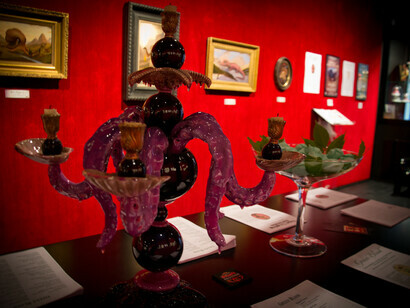 The special event, “Mysterium Coniuctionis” , has been a unique exhibition with book signing by the two main icons in the history of Pop Surrealism, Mark Ryden and Marion Peck. 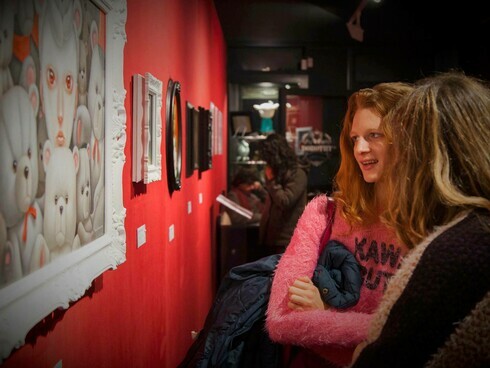 During the Opening Ceremony on December 2016, for the first time in Italy, the artists met their public while signing their latest books, Lamb Land by Marion Peck and Pinxit, a new edition by Mark Ryden. The exhibit reached its peak by presenting originals from private collections and more than 20 rare artworks in limited edition and Artist’s proofs including lithographs and prints by the american coupe, which offered DCG’s visitors a memorable experience. Dorothy Circus Gallery produces a wide selection of art related products distributed all over the world, such as art books, artists monographs and art catalogues of the exhibitions displayed at the Gallery, alongside with limited edition prints, postcard box sets, and special limited editions of collectables as the very exclusive Palpitation eau de perfume inspired by the Ray Caesar’s artwork in collaboration with the master perfumer Lorenzo Dante Ferro. Dorothy Circus Gallery’s goal is to raise vibrant emotions and to offer an introspective journey while displaying both prime movers and the forerunners of this new figurative avant-guard language made of strong energy snd kinetic pas- sion. With the coming of the New Year, the Gallery finally concretised its desire of building a Temporary Gallery in Lon- don, at Notting Hill. What is more, Dorothy Circus Gallery has finally reached its tenth birthday that will fall in October 2017. These represents unique goals for the gallery which wants to celebrate them in a very special way. For those unique occasions, Dorothy Circus Gallery will present two stunning group exhibitions, one in Rome, the other in London, where new international entries and already known artists will set up an astonishing Pop-Surreal party, paving the way for a brilliant course of future projects. The result will be a unique session of breathtaking events in the name of Pop Surrealism to celebrate and inaugurate a prosperous continuation to DCG’s career. Alexandra Mazzanti, owner and director of Dorothy Circus Gallery, was born in Rome on November 12, 1978 in a family of 700’ and 800 paintings’ collectors. Her mother, a pianist who guides her through classic and opera music and the creativity of her father and grandfather, both chemists and researchers, influenced her formation and education. Niece of the princess Alexandra Hercolani of Bologna, she inherits, from her grandmother, the first artworks that will make her future collection, constantly enriched even by her mother and her spirit for collecting that has involved her daughter, since her childhood, in the 19th century paintings’ auctions. She graduates from Liceo Classico in Rome and at the age of 18, she goes on with her studies in Venice where she starts attending the Accademia di Belle Arti that will then leave subsequently to start working with Venetian sculptors and painters. In this way, she goes in depth with the art world in all its aspects, from a practical side, by arranging canvases, and from an economical and psychological side, by being in daily contact with the artists and their artworks. She works and creates many scrips for the theater and dance spectacles as “Alice Around Pink Floyd”, staged by the popular dancer Denys Ganio, who went on stage at the Olympic Theater in Rome, and “Tango per Jeorge Donn” represented on the prestigious stage of Bolshoi in Moscow. She writes several scripts for cinema and for the experimental theater, and her passion for art and painting makes her travel a lot to know always-new artistic tendencies. In this way, she is acquainted with the dynamism of Contemporary Art overseas and with Pop surrealism that fascinates her particularly for it deals with music, cinema and new technologies. Her passion for Pop Surrealism starts in 2004 when she discovers the art of Mark Ryden and she decides to live in New York City and California for a year. Here Alexandra has the occasion to get in touch with the most popular gallerists and artists of the movement, so to enlarge her private collection, adding the artworks by Mark Ryden, Marion Peck, Miss Van, Travis Louie, Ron English, Alex Gross, Joe Sorren, Ray Caesar, and many others to her classic artworks. 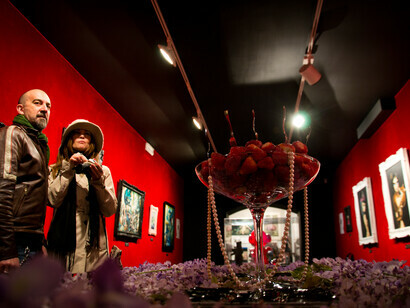 In 2007, after her experience in USA she decides together with her mother, Maddalena di Giacomo, to open Dorothy Circus Gallery, a space “in between New York and Wonderland”, the first center of Italian contemporary focusing on Pop and Neo-surrealism, and on the new expressions of figurative art. 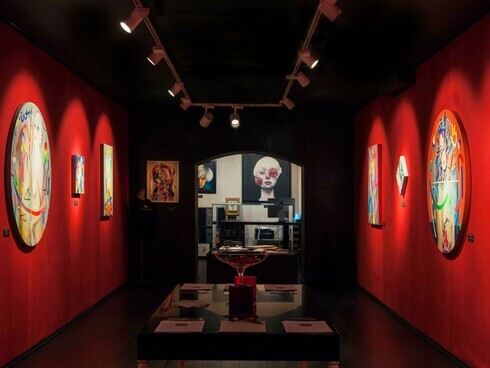 With its unique style made of nuances and oneiric details completely innovative and seductive, the Gallery starts from Pop Surrealism to become and eclectic environment, full of recalls to the classic tradition, to iper-realism, Magic realism and the excesses of Baroque. The Gallery has been reviewed by all roman guides and the most important magazines such as Vogue, Rolling Stones, Wired, Ad, and many other international newspapers ending with the American underground cult magazine, Art Juxtapoz and the section of the New York Times “36 Hours in Rome” the section about the “Must Visit” in the eternal city. Since its opening, Alexandra has always worked as director and curator of this exhibition space, curating personally all the exhibitions scheduled and collaborating with the major icons of the movement. From 2007 until today, she devoted herself to the realization of 68 exhibitions, among which 7 institutional projects. The first of these, “Pop surrealism, What a WonderFool World”, at the Carandente Museum in Spoleto (26 June-16 October 2010), curated with Gianluca Marziani, has been the first event dedicated exclusively to American and international Pop Surrealism, through the exposition of more than 80 artworks. Following, Pop Surrealism- “Stay Foolish”, at Museum Casa del Conte Verde a Turin (6 June-29 July 2012), and “Genius Loci”, curated by Enrico Debandi, in collaboration with Dorothy Circus Gallery at Palazzo Saluzzo Paesana, Turin (September 12, 2012). “Inside her eyes”, at Palazzo Valentini, Rome (October11- October 22 2012), has exposed two main female figures in the Pop Surreal movement flanked by the inedited, new figure of the Iranian Afarin Sajedi. “Pop new Pop”, at the museum MACRO Testaccio, Rome (27 June-30 June 2012), curated together with Melissa Proietti for the ANLAIDS, has brought on the scene other icons of the movement among whom Miss Van, Colin Christian, Alessia Iannetti, Scott Musgrove, Ray Caesar. This latter, whose the Gallery is the official agent in Italy, exposed in his solo show “The Troubles with Angels”, a retrospective of the artist, leader of digital art, curated by Alexandra Mazzanti at Palazzo Saluzzo Paesana, Turin (February 18- April 10, 2014), and at Dorothy Circus Gallery (February 15- April 6, 2014). Those included the new artworks in edition of 20, made just for the Gallery with 5 brand new artworks in unique edition, the famous single varnished collected by the great names such as Madonna. Finally, “Lacrima Aquarium”, an institutional group show, curated with Giorgio de Finis at Casa dell’Archittetura- Acquario Romano, in 2014. This event, focused on the theme of water has exposed 33 artworks of popular international artists. Among the institutional projects in collaboration with the roman council, there is “Spray for your Rights” (2014), a public project of street art in the heart of Rome that has involved four major street artists focused on the most contemporary social themes as immigration, women’s rights, the protection of the animals and the environment. Among these, there are Eduardo Kobra with “Malala” MAAM in Via Prenestina, who has given to the city of Rome the great mural in honor of Malala Yousafzai, and connected to the solo show “Peace” at Dorothy Circus Gallery. Roa with “Daniza”, at Mercato Vittoria, and his solo show “Souvetaurilia” at Dorothy Circus Gallery, explicitly devoted to the historic context of Rome and to the destiny of animals in this environment. Tara McPherson with “Aqua”, in via Assisi and her show “I know it by Heart” at Gallery. Finally Zed 1 with “L’Equilibrio” at Via Orazio dello Sbirro (Ostia). Another project in collaboration with the council of Rome is “Talk with Ray Caesar”, at Sala Santa Rita (Rome), a conference on the solo show by Ray “A trouble with Angels”, focused on the figure of the artist himself, an analysis involving psychology professors and psychiatrics as Andrea Fiorentini on themes and interpretations of Caesar’s art and messages. Alexandra collaborated with the publishing house Drago for various publications on Pop Surrealism as “Pop Surrealism” and on Dorothy circus Gallery and its artists. Once Upon a Time”, “Walk on the wild Side”, “The Doors of Perception”, are the three volumes of the trilogy narrating the exhibitions that the Gallery held from 2010 to 2014. Among the various publications, there are also the monographies of the artists as “Hello Here I Am” the art book on Kazuki Takamatsu. All his publications are bilingual and shown in the libraries all over the world. Alexandra has also shown with Dorothy circus Gallery in international art fairs such as Swab, international fair of Contemporary Art, in Barcelona, featuring the artists Ray Caesar, Miss Van, Leila Ataya, and Valentina Brostean. Scope Miami, where the artists Scope Miami, in cui gli artisti Ray Caesar, Joe Sorren, Nicoletta Ceccoli, Kazuki Takamatsu,Tara McPherson have exposed brend new masterpieces created just for the exposition, and Scope New York, in march 2016, with five of the main artists of the Gallery, Afarin Sajedi, Joe Sorren, Erik Jones, Alessia Iannetti, Chie Yoshii. Among the shows of 2017 at the Gallery, stands out a particular focus on Asiatic Pop Surrealism through the Japanese artists Yosuke Ueno (Micro Cosmos, February 2017) and Fuco Ueda (Yumei, June 2017). These figures contributed to make Dorothy Circus Gallery a more and more international space, by introducing a brand new surreal style. Alexandra, at the same time, has always worked with national Pop Surreal icons, by curating Cyclothymia, the last exhibition by Alessia Iannetti, and Follow the Unicorn, by Paolo Pedroni, proposing two fundamental figures of the movement in Italy. Dorothy Circus Gallery and her director’s activity are constantly subject of press and Medias, which offered her many spaces and interviews. 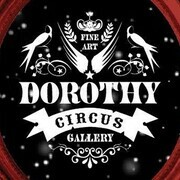 Dorothy Circus Gallery is about to have its tenth anniversary in October 2017. In this occasion, Alexandra has decided to spread the bounders of its circus, bringing it to London, at Notting hill. Beside the recent exhibitions with their always new and eclectic themes, Alexandra is working to organize the two great, future events in London and Rome that will celebrate the Gallery’s objectives, so those of the director herself. By now, Alexandra lives in Oxford where she keeps on managing the Gallery but she also keeps taking part to prestigious projects as the show “Cross the streets” that celebrates the 40 years of street art and writing at the museum Macro in Rome. This show has devoted part of the exposition to the great names of Pop Surrealism in the section curated by Alexandra Mazzanti. Among the recent projects there is also “Unlock the Vision”, a temporary of five months by Dorothy Circus Gallery at the Butterfly Hotel in Rome (Via Guido Reni), an enchanted exhibition space, as the artworks that Alexandra decided to expose.